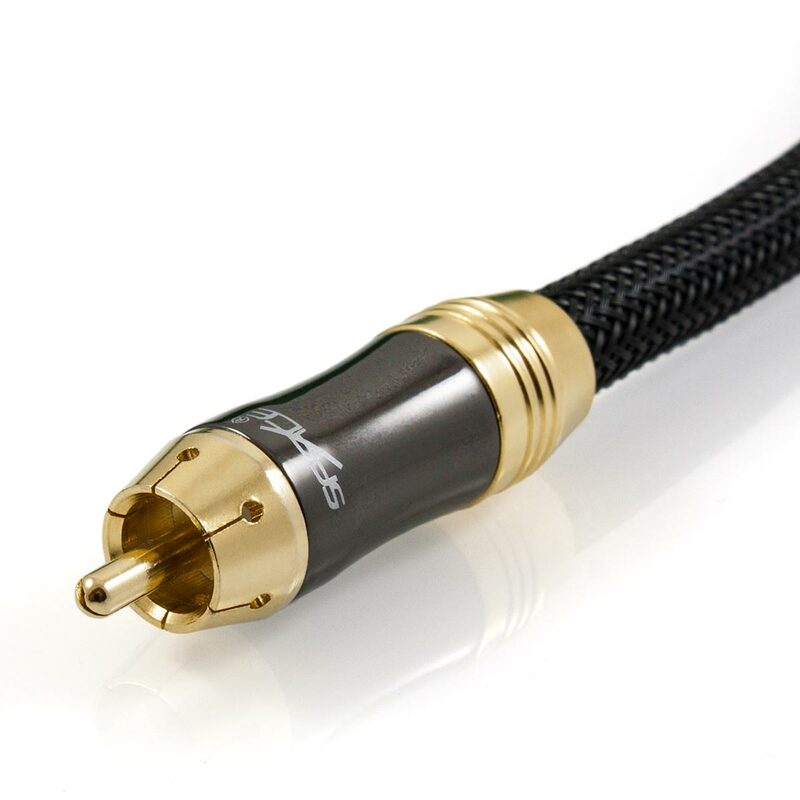 This exceptional Space Saturn Series™ Subwoofer Cable has been precision engineered with a range of performance optimised attributes. The superb design is guaranteed to provide unprecedented, foundation trembling bass. First is the nitrogen gas injected dielectric. 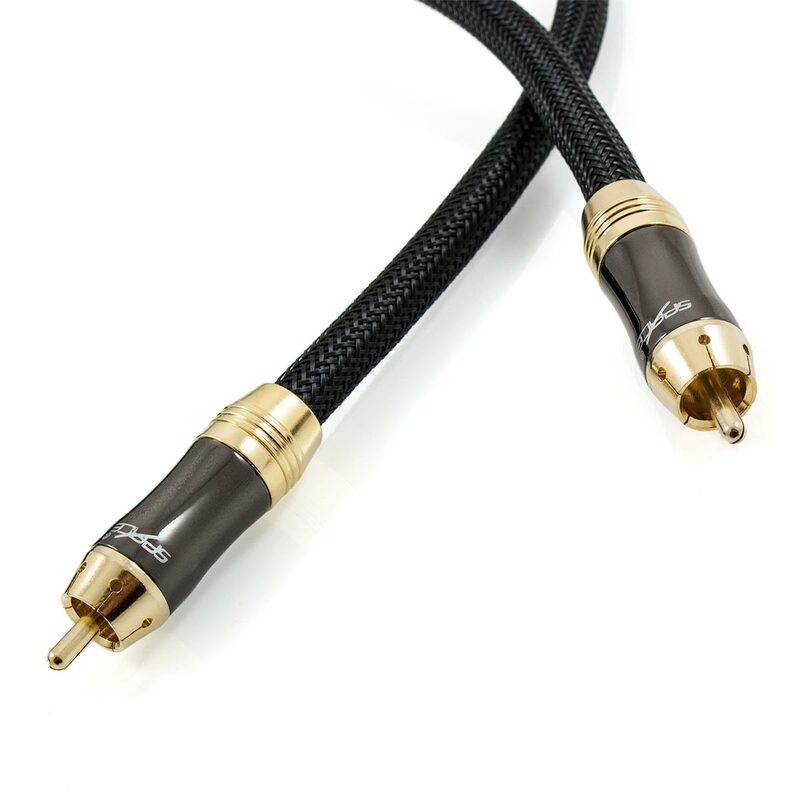 This ensures that the cable maintains a perfectly balanced 75Ω impedance. Within the core of the dielectric lies 25 strands of 0.12mm pure copper to deliver supreme audio performance. To eliminate and reject electromagnetic interference (EMI) and radio frequency interference (RFI), this cable features dual layer shielding. This is comprised of aluminium Mylar which is then encased with multi strand braided copper (96 x 0.12mm strands). Featuring a massive 9mm outer diameter, this cable is virtually impenetrable to noise and interference. This cable features precision cut outer contacts and centre pins to ensure that the connection is a perfect fit. This along with the 24k gold plating will ensure a flawless signal and will also ensure that the connectors will not corrode over time. The zinc alloy plug housing features a high quality chromium plated finish. This not only looks stunning but also adds an extreme level of durability to the cable. To further reinforce this durability, this cable also features a high density, triple weave outer braid. Besides providing aesthetic appeal, this will also add another layer of protection against wear and tear. All these features work in synergy to facilitate the ultimate performance and durability. 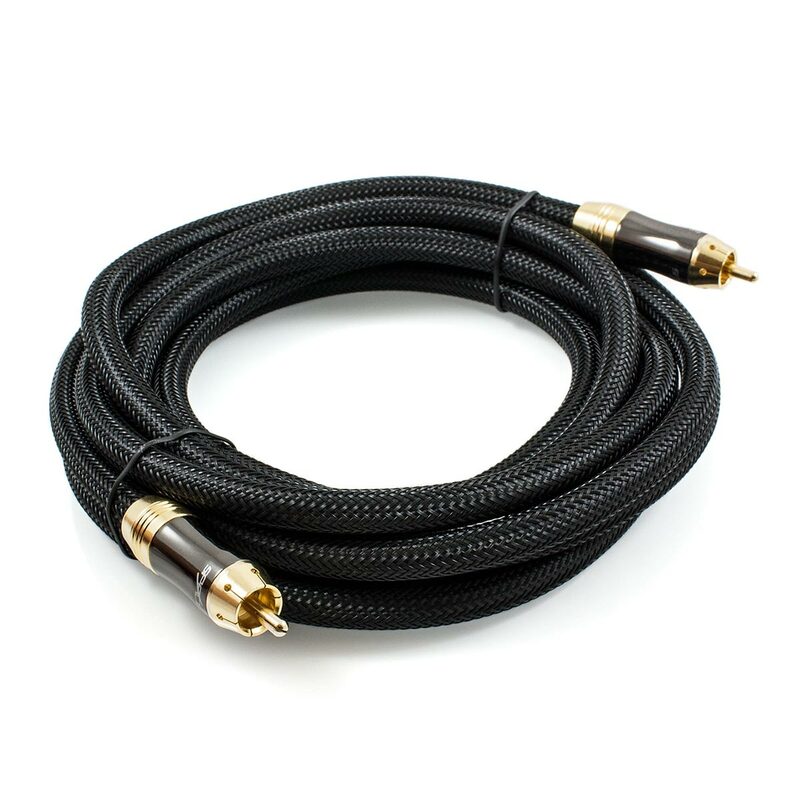 Not only will this premium cable effortlessly blend into any system with its attractive finish but this low capacitance interconnect is certain to deliver the perfect sonic experience, every time. 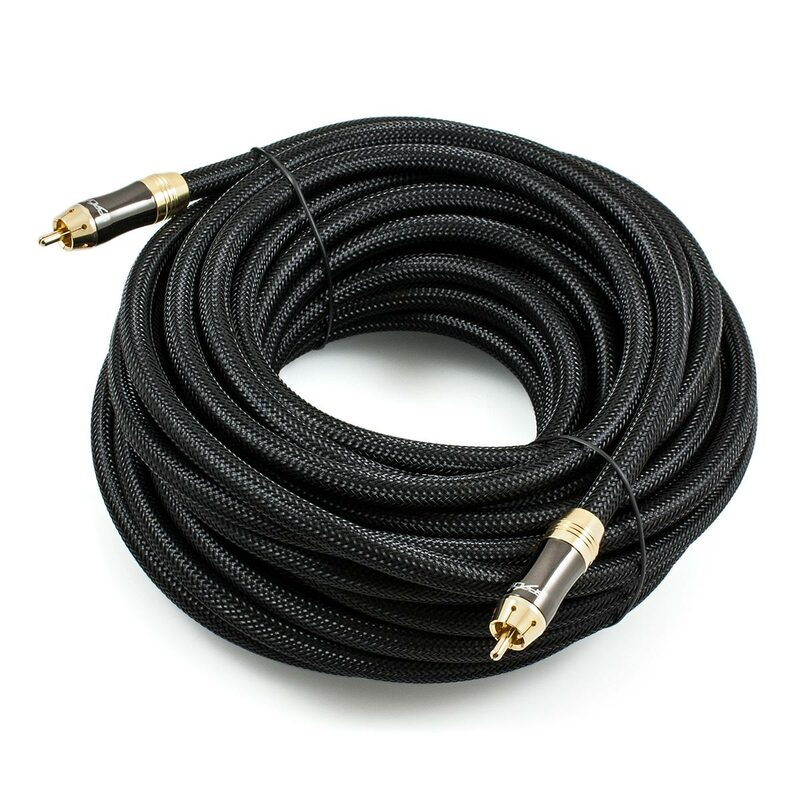 Purchased a 5m cable. Arrived within a week. Excellent communication. The quality of the cable is very good. Noticed an improvement in sound quality. Very good price, much better than what you get in Hi Fi stores for this price range. Bought this to replace a previous cable for my new Onkyo receiver. Great improvement. Always buy my cables from Space Hi-Fi and their help is second to none. I was getting some low level hum from my Def Tech subwoofer from an existing 'heavy shielded' RCA cable. Could not believe how quiet the 5 meter saturn cable is. Not a lick of power hum after installation. Heavily recommended. Solid connectors and nice looking braiding. And still cheap compared to others offering similar products. The product certainly lived up to the information provided. Your prompt attention to customer service and follow up detail and double checking was excellent. Cost wise and performance wise outstanding. Very good quality for the price, with a braided nylon sheath and finished with gold plated connectors. Looks and sounds great. Do not waste your money on Monster Cable. Thanks to Space Hi-Fi for delivering a quality product at a reasonable price.